Open Nature household cleaning and care products are now available in the Los Angeles area at Albertsons, Vons and Pavilions stores. You can easily find them at a convenient location near you! Also, there is a wide array of natural cleaning products on Amazon. For my Amazon Prime members, this is perfect for you! 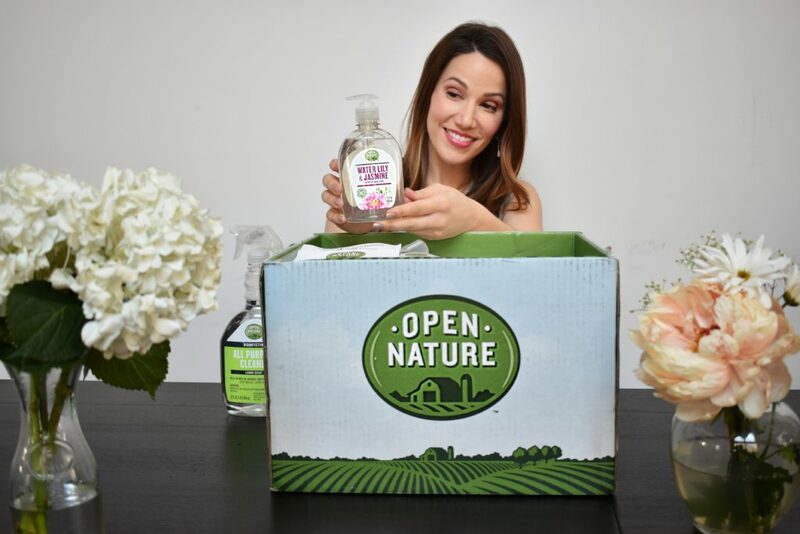 When Open Nature asked if I would like to try their new household cleaning and care products to share with my readers, I decided to really research the brand. Once I discovered all Open Nature household cleaning and care products are dye free and never tested on animals, I of course said yes! 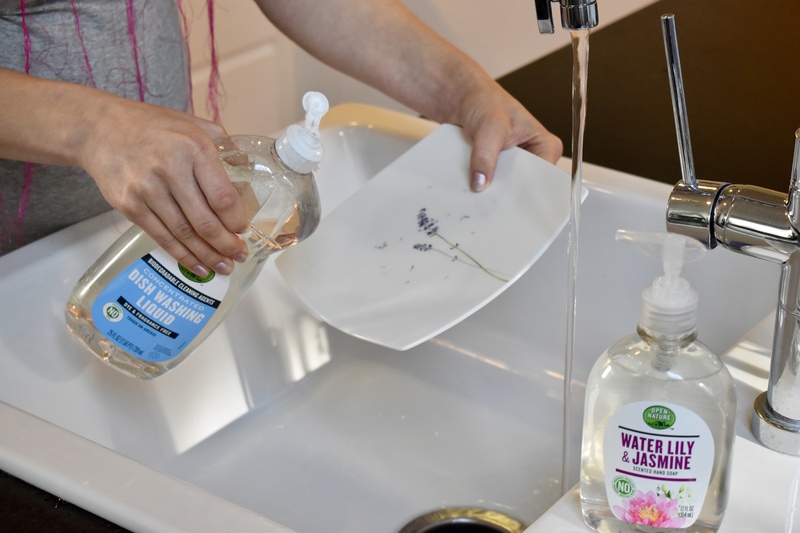 The Open Nature cleaning line includes products are biodegradable, fragrance-free and perfume free, and are certified Safer Choice by the U.S. EPA. Now let’s go through and unbox my package from Open Nature. I really love all of the bright colors, clear labels, and important product information. But of course it isn’t only about presentation, I had to put these products to use! Open Nature Glass & Window Cleaner: Non-toxic, biodegradable, US EPA Safer Choice Certified and it didn’t streak. Open Nature All Purpose Dye Free Lemon Scent Cleaner: Disinfecting (kills cold and flu viruses), dye free, biodegradable surfactants, plus I really loved the light lemon scent! Open Nature Paper Towels: Made with 100% recycled paper, certified by the Sustainable Forestry Initiative, and they really got the job done. Open Nature Free & Clear Dish Liquid: Dye & fragrance-free, biodegradable or contain biodegradable cleaning agents/ surfactants, and got rid of all the leftover food quickly. Hand Soap: No phosphates, phthalates, parabens, artificial colors, plus it didn’t make my hands feel dry. After spending a wonderful Sunday spring cleaning my home with natural cleaning products, I feel more confident than ever we are going to be ready for our baby boy in July! If you’d like more advice on how to get your home clean and ready for your new arrival then speak to Sammy from Home Clean Expert, they can answer any questions or worries you may have. I encourage you to make the change to natural cleaning products too! You might also be interested in these surprising foods that are good for your teeth.